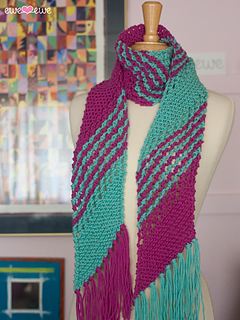 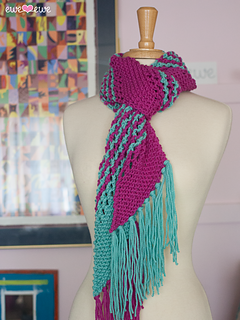 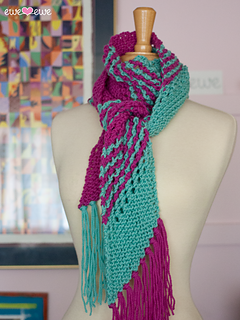 Blue Raspberry Jam is a fun scarf with a bias stitch design pattern and adorable color swaps. 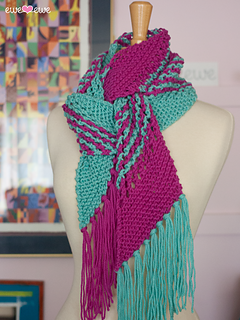 Accented with long fringe, this scarf will be one of your favorites. 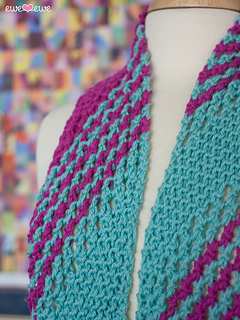 Choose two colors of Baa Baa Bulky to enhance your coat collection! 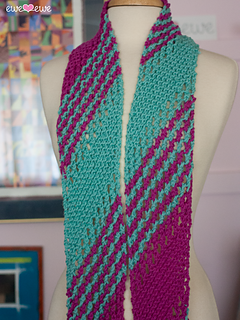 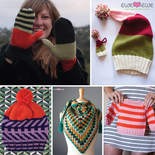 Gauge: 12 sts to 4” in garter stitch.